Of all the kinds of fitness, one might pursue, mental fitness is arguably the most important, but also the most underrated. We always give a lot of importance to physical fitness but mental fitness is just as important as physical fitness, and shouldn't be neglected. It is observed that mental health has a high effect among youths and children, the ratio is so high that every hour a student commits suicide in India. Mental fitness is essentially a set of mental exercises that each and every one of us should be doing to ensure our minds are in good shape and our attitudes are flowing in the right direction. Correct knowledge of mental health awareness should be spread, that's why top Indian Table Tennis paddlers, who are currently training in China for Asian Games 2018, popular for their recent Commonwealth games historic gold shared with us the importance of mental health and how they keep themselves fit mentally and physically. 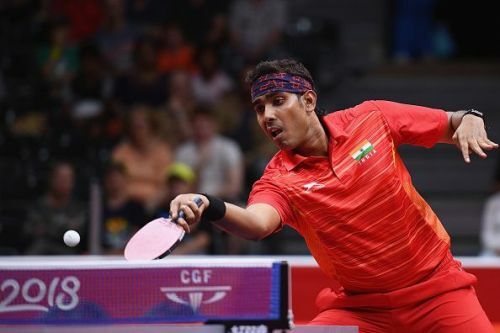 Achanta Sharath Kamal,36, India's most experienced player and currently the highest ranked Indian in the world at spot 33 is unstoppable, keen on improving with every passing day. "Mental health and fitness is as important as physical health and fitness in sport. Most of the players would be physically on an equal plane but it's the mental part which differentiates them from good players to top players who make the cut above the rest. And mental health and fitness firstly begins with the kind of personality one is and it can be developed or shaped according to the kind of work one puts into this aspect. Many times the physical and mental fitness are inter related because to work one part you need the help of the other part. And mental fitness is part of everyday training for me, every practice sessions or physical fitness session, I try to get better in focus and concentration and try to keep myself under pressure even during training as in matches is already there and we need to perform under pressure in matches." 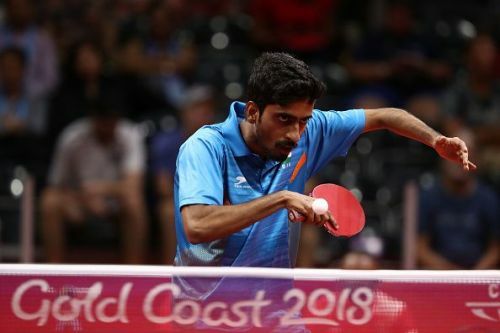 Sathiyan Gnanasekaran,25, current world rank 39, an offensive player, inclined more towards the attacking style of play and popular for being an ace table tennis player with an engineering degree believes in working hard to make both the fronts strong with the help of experts. "Yes, definitely I feel mental health is in fact more important than physical health as far as table tennis is concerned because it’s more of a mental sport and you have to be sharp in your thinking , you have to be fast in your thinking and you have to be decisive. So it’s very important to stay fresh mentally. Yeah, I have been working taking the mental health seriously, I have always been sharp and taking good decisions, I have been good on that side to take bold decisions and to have that mental edge always over some opponents. But there is a process to it, so I have been working with the mental conditioning coach. I initially worked with Mr. Badri Narayanan who was my mental conditioning coach right from 2013 and now I am working with Mr.Vaibhav Agashe who is also a mental conditioning coach. So it’s very important to have a systematic approach to how you face an opponent and mentally you are always trained , calm and you think more clearly I think that gives you a better picture and also helps to face difficulties in executing hat, so you are more mentally prepared. Definitely it’s very important to stay mentally focussed and prepare yourself for the tournaments. It’s also about handling pressure especially in big games." "For Physical Fitness part like every sports person I also have a proper fitness trainer and I go with the schedule. I have always been quick and fast so of course I have been improving on that side, agility and speed has been my strength so I have been doing a lot on that and I have improved a lot in fact I would say with Mr.Ramji Srinivas, fitness trainer (Quantum leap performance ltd.), who was my physical trainer right from 2013. So I think that really helped me to step up and to shape up the process and give that extra edge and that is why I have gone up in the rankings in last few years. We have been also working on my strength part , which I actually need to improve on to have a more power pact performance specially when I face the world level players. Of course I need to put on muscles and I have been working on that as well hopefully to get better in the future. So yes, I have been hiring experts, both for my mental fitness and physical fitness to get better every day as much as I can." 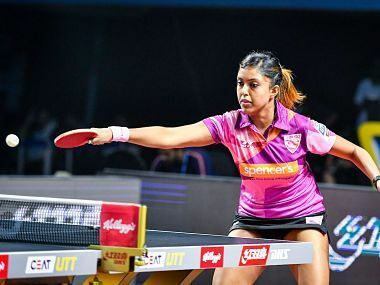 Mouma Das, 34, an Arjuna awardee popular for her Cwgs medals, currently on the 122nd spot in the world rankings and one of the most experienced players in the Indian female table tennis team shared with us her small ways of keeping herself mentally fit. "Mental & Physical health both are equally important to stay fit.Our body is controlled by few major chemicals compounds which are also control by our mental conditions like sadness and happiness. Secret of mental happiness is small, small things in our daily life like some conversations with family and friends with sharing some fun talks which creates happy moments and the chemical behind love as even small conversation can increases our serotonin hormone level which help major to our physical body.When we happy our motivation also boosted.Some time some good movies can help but all important with balance and with moderation anything excessive is poisonous can damage anything. My focus always "good will and will to do good" for myself and for everyone. Communication with Life is Love and Love is dedication with respects.Love, Life, Dedication and Respect is creating Passion. Passion for my sport, table tennis." 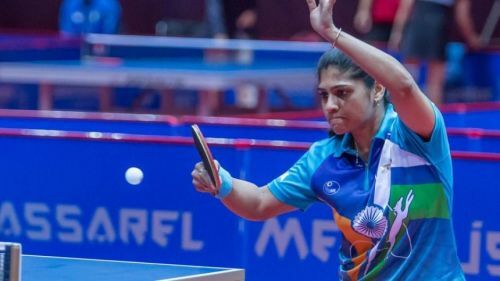 Senior paddler Madhurika Patkar, 31, currently ranked 125th in the world rankings who believes a strong show at the Commonwealth Games has instilled fear among India’s opponents, which will help their cause in the upcoming Asian Games told that the sport demands a player to be fit both ways. "Yes, for me and for all the players mental health is very much important I would say as important as physical health. I do a lot of meditation and other than that I have a mental trainer Dr. Nitin Patankar I train under him, so he gives me different kind of techniques and I do visualisation, mediation and that helps me a lot. Before every match I do meditation and try to boost myself, give confidence by telling myself what my strong points are. But talking about mental fitness during the match at that point how the opponent is thinking, what the score is, what the situation is, how should I tackle that situation that’s very important and that training has to be done before not at that particular point and for that one should do lot of visualisation so I focus on it. Table tennis is a game which requires a lot of physical fitness and now that the ball has changed it requires lot of core strength, legs and I think in fact the whole body is involved in Table Tennis. We need agility and quick reflexes." 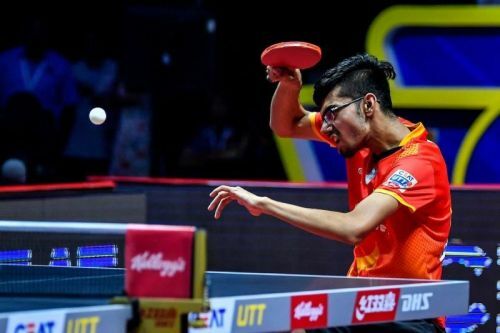 Young hope of Indian Table Tennis, 18 years old Manav Thakkar, first Indian to be crowned as world rank 1 in junior boys and a replacement to Sanil Shetty for the Asian Games 2018 has the key to remain fit. "Yes mental health is also as essential as Physical health. I keep myself fit by doing regular physical exercise and meditation. I also keep myself fit by taking nutritive food and adequate sleep." "Yes mental health is very essential. Meditation, good diet and hard work help me improve both physical and mental health."